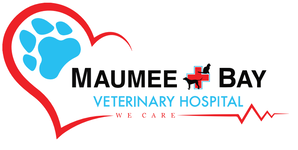 During her undergraduate studies she worked for Med Vet Columbus (a referral and emergency clinic). Dr. Heather followed in her grandfather and father's footsteps as she also graduated from The Ohio State University College of Veterinary Medicine in June 2009. Dr. Heather works side by side with her father as our second full time veterinarian. Dr. Heather lives in Graytown, OH with her son Jacob, She enjoys spending time with her son and family, horseback riding, playing boardgames such as Scrabble, and anything to do with animals. She is a true animal lover! And of course, she was born a buckeye...Go Bucks!